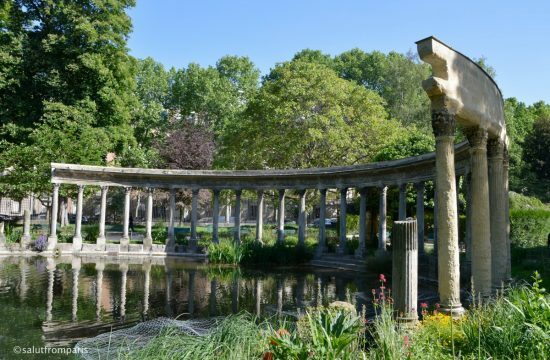 If you spent a few days in Paris already and decide to visit Belleville, you realise as soon as you step out the Metro that Belleville is nothing like the rest of the city. 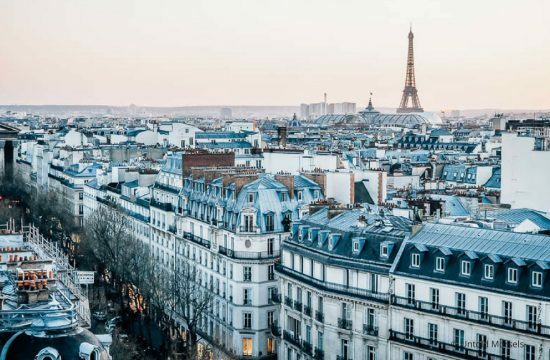 You won’t find any classy Haussmann buildings or fancy store fronts in this part of Paris, neither pompous streets or in-crowds. Belleville is a colourful and friendly working class district shaped by migrants, artists, musicians and a general very left political orientation. 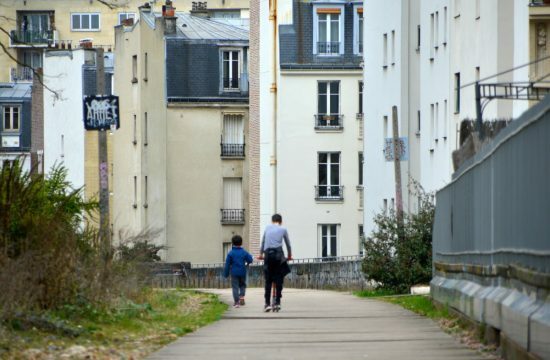 Gentrification isn’t a stranger to Belleville, but until today, rents are still ranking along the lower Parisian average and the spirit of the area remained pretty unique compared to the rest of Paris. 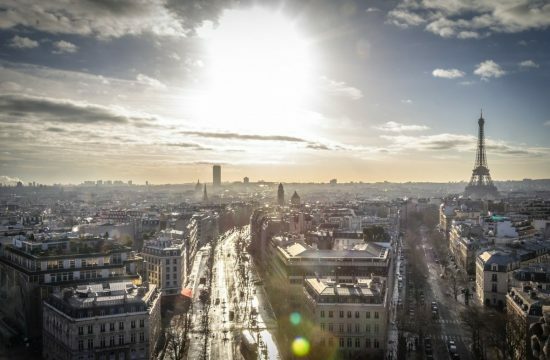 Since the 80’s Belleville also emerged as a second Chinatown of Paris. 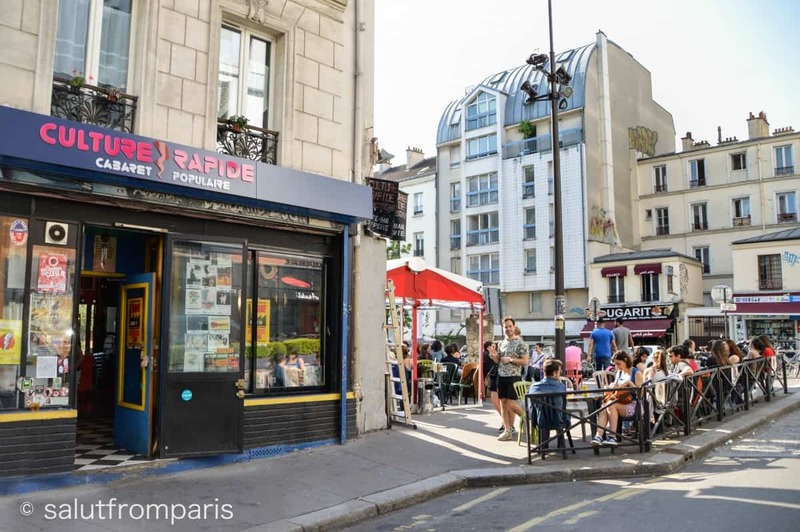 It is smaller than the famous Chinatown of the 13th arrondissement between Place d’Italy and Porte d’Ivry but it’s rather undiscovered, with plenty of great restaurants and also a Parade for the Chinese New Year. 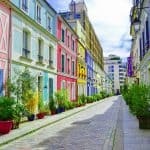 If you’re traveling rather on the lower budget or want to experience Paris as a local, Belleville is a great neighbourhood to set as a base when traveling to Paris. Find your hotel here. 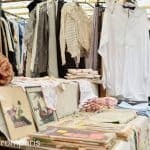 Belleville is in my opinion one of the most interesting quarters of Paris and also one of the non touristic areas of Paris. 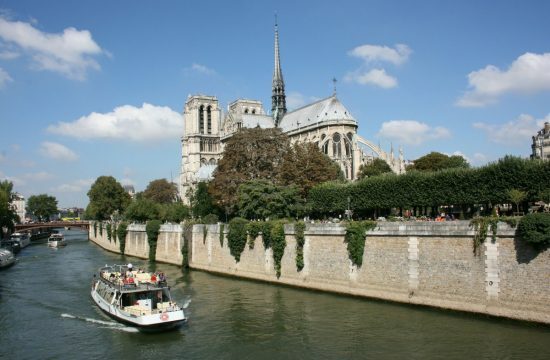 A perfect place if you are searching for Paris experiences off the beaten track. 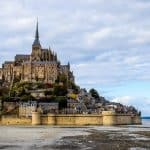 What’s about it and why should you visit it? 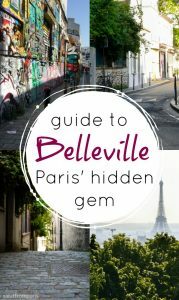 Belleville was initially an independent commune that got annexed to Paris in 1860. 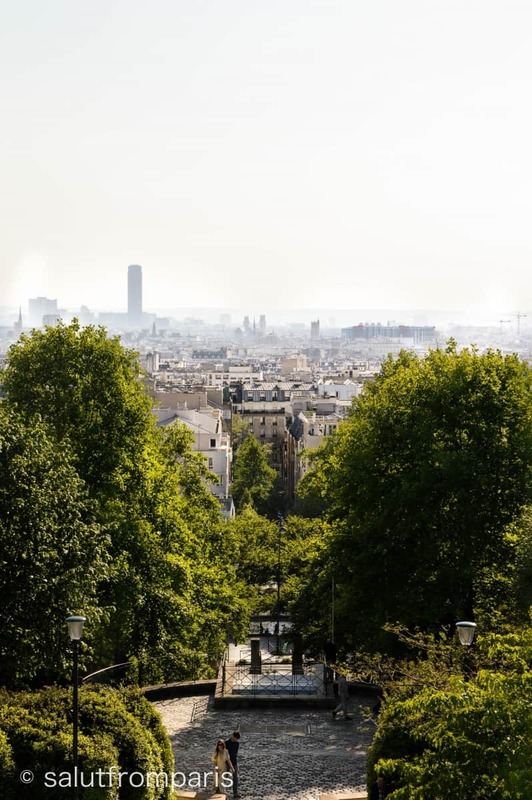 It has a lot in common with Montmartre – both quarters are built along and on a hill (the two highest in Paris) and have a strong artistic and working class background. 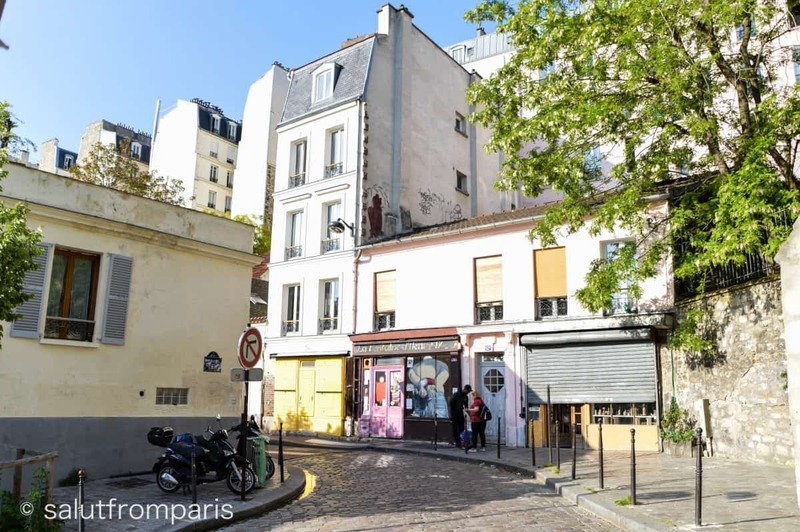 But while Montmartre is swayed by the Belle Époche at the turn of the last century, the Belleville of today is rather influenced by the zeitgeist of newer times. 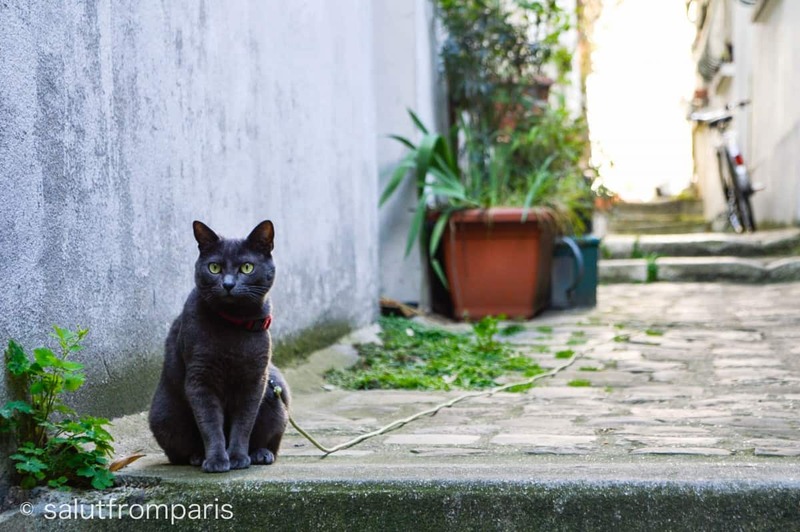 What’s Picasso and Hemingway for Montmartre, is Street Art for Belleville. 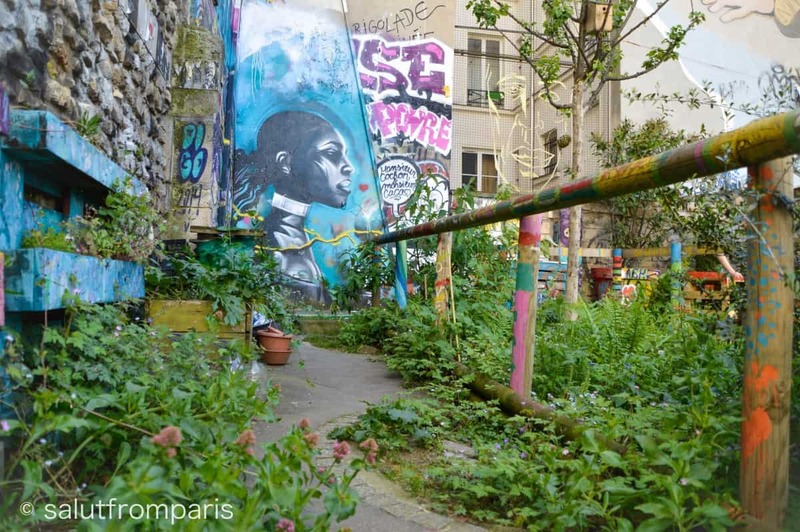 It’s also one of the few places – that I have seen at least – where urban gardening is actually a thing. 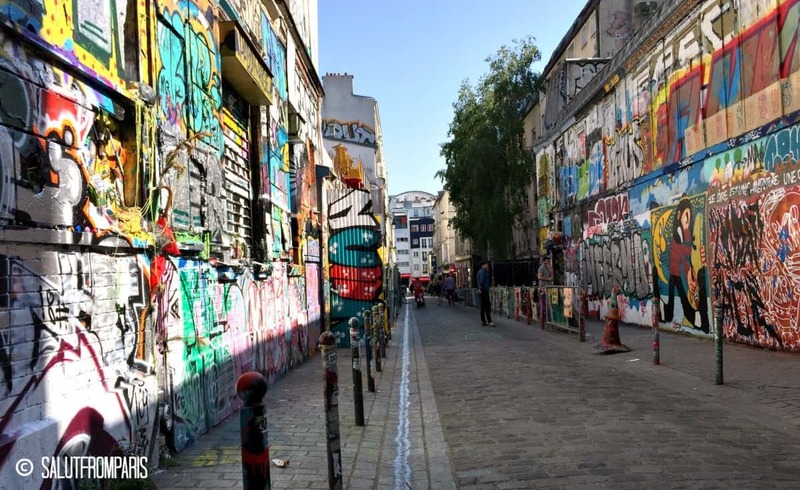 Belleville is basically the Parisian heaven of street art, the center of urban art. You find it across the entire quarter, in every corner and on every wall. From graffitis that cover an entire side wall of a multi-story building to a 2 inch patch half hidden beyond a trash can. 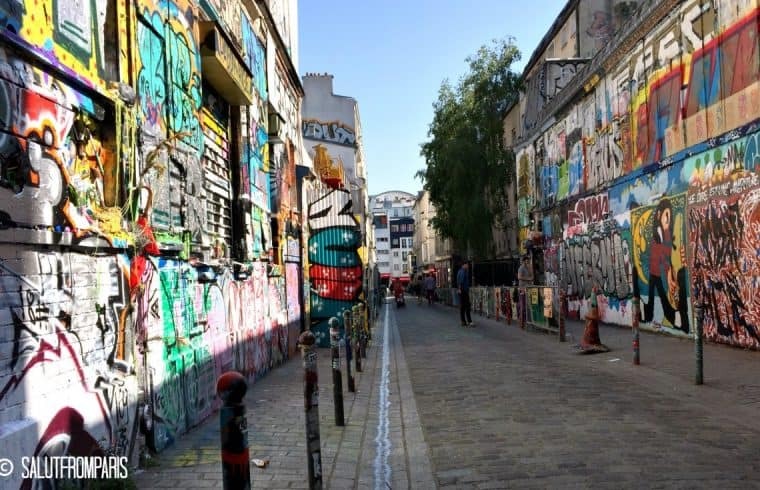 The most famous spots to see graffitis in Belleville are Rue Denoyez and the Place Frehel. But keep your eyes open and watch out for the little hidden treasures. 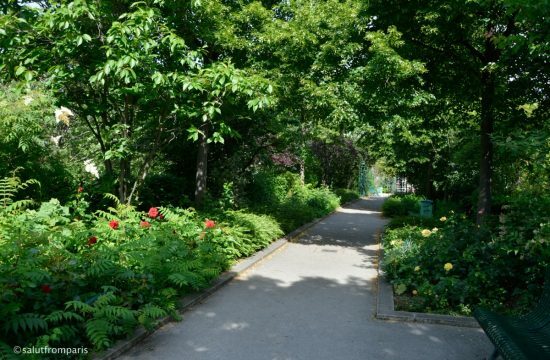 Oh yes, Place Frehel at the corner Rue Julien Lacroix and Rue de Belleville is also home to a little urban garden and the Culture Rapide. A popular local bar with a spacious outside area, poetry slams and a laid back atmosphere (plus affordable beers). 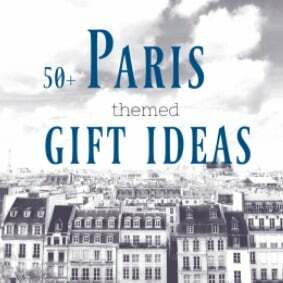 Belleville is the birth place of one of the most famous French singer: Edith Piaf. Rumours are saying she was born on the pavement of number 72 Rue de Belleville and a plaque is honouring this event from the 19th of December 1915 (her birth certificate states differently though). However, it is certain that she lived in the little apartment at 5 Rue Crespin du Gast before she became famous. Today, the apartment hosts a privately run museum at her honour and displays personal items, photographs, letters and her famous black dress. 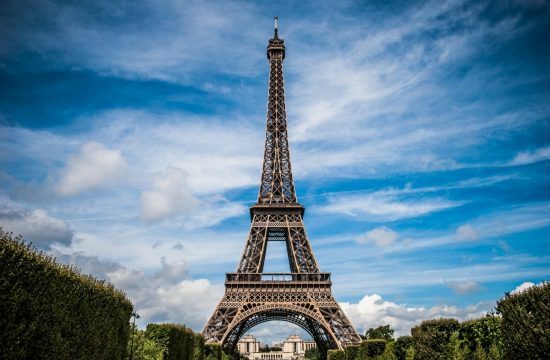 The visit of the Edith Piaf Museum is free of charge, donations are excepted though. 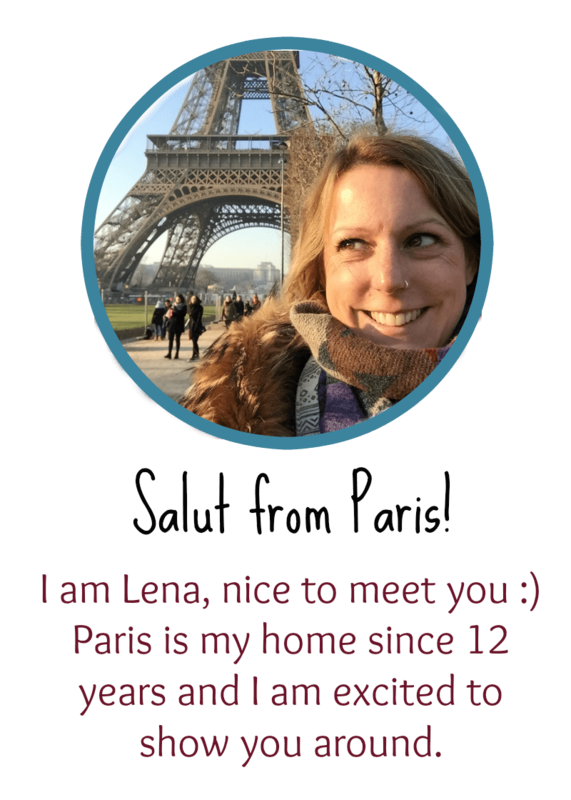 Note that you need a reservation and the tour is in French only. Knowing that Bellville is located around a hill you can be sure there is a also a hilltop with a beautiful view. And what a view! 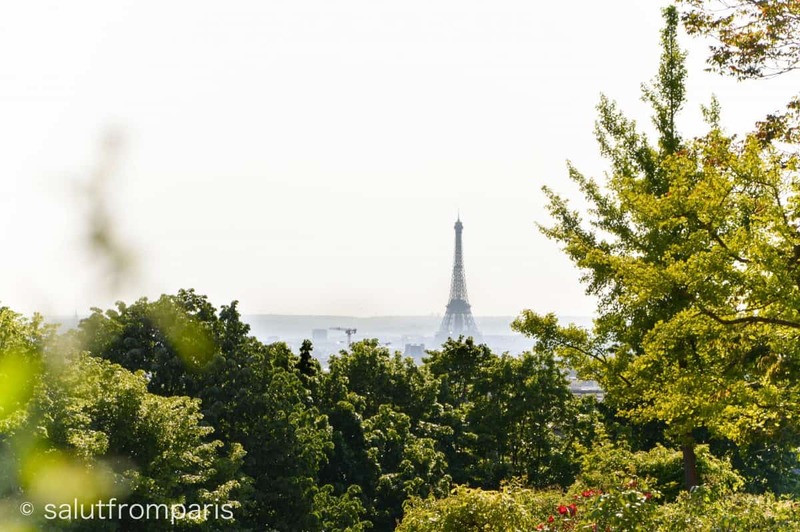 The Parc de Belleville is covering one slope of the Belleville hill and apart from a stunning panorama, it has nice playgrounds, cascades and even a vine yard. Just at the corner of Rue Denoyez, the “Street Art Mile” of Belleville, this bar is an institution within the neighbourhood. Aux Folies is situated in an old cabaret from the 20’s and it’s today a typical Parisian Brasserie. It’s always busy, no matter if you’d come for Breakfast or a last drink before heading home (they’re open from 7am to 2am, every day!). Good to know: the prices are reasonable! 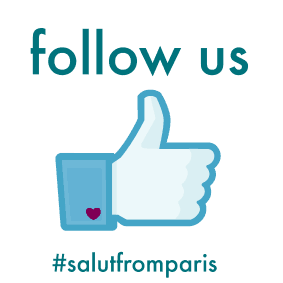 check out also our post about vegan restaurants in Paris! 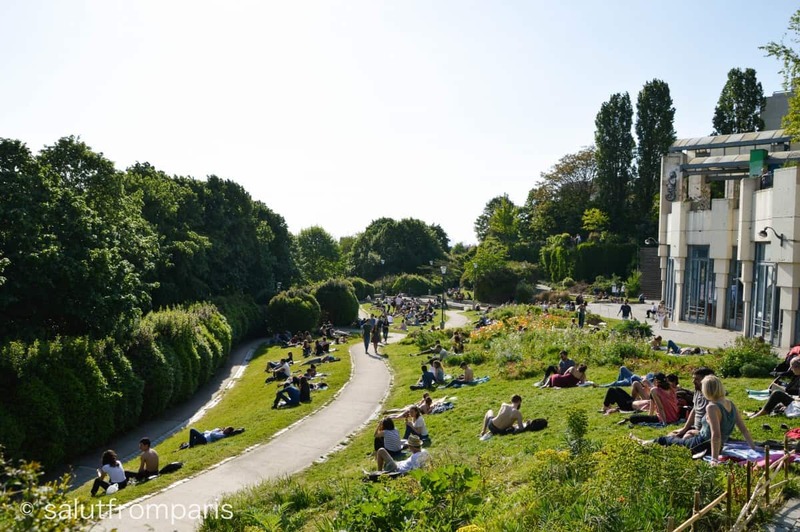 If you climbed up the Parc de Belleville, the Les Mesanges lays just downhill on the other side. 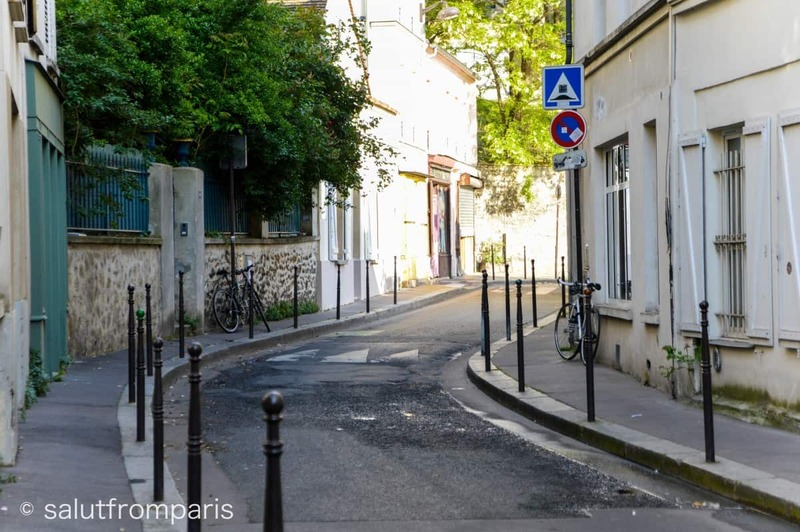 If you walk down the Rue de Couronnes you’ll arrive at a little round-about that resembles more the center of a country side village than actually a place in Paris. Les Mesanges offers very yummy French food with a slight asian influence in a nice ambiance. 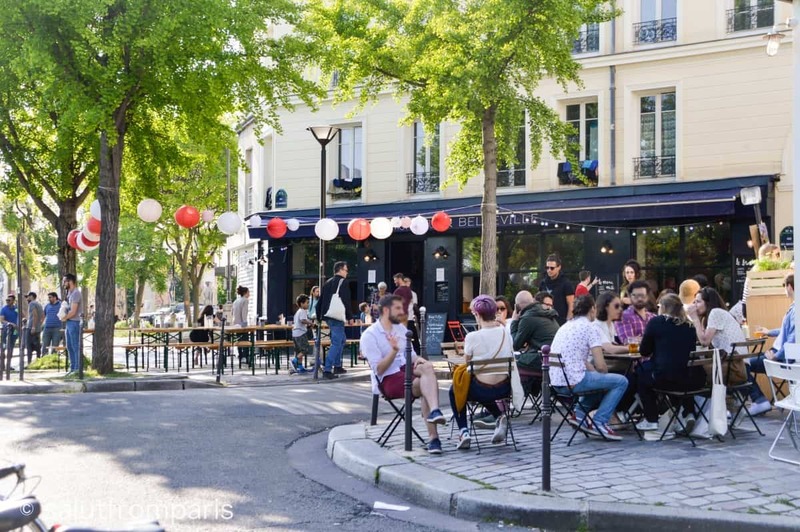 Do you want to experience Paris as a local?If you want to experience a Parisian neighbourhood where you live alongside locals, drink your beer next to locals and see generally more locals than tourists, Belleville might be absolutely your neighbourhood. It’s a colourful mix of all sorts of people, maybe a little rough at the edges, but full of charm and authenticity. 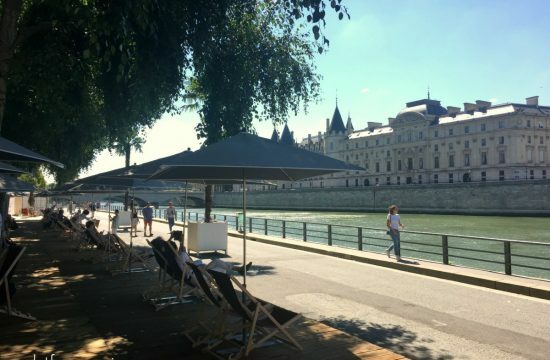 The density of hotels within Belleville is a bit lower than in the rest of Paris – which I personally see as a good thing – but it leaves you less choice as well. 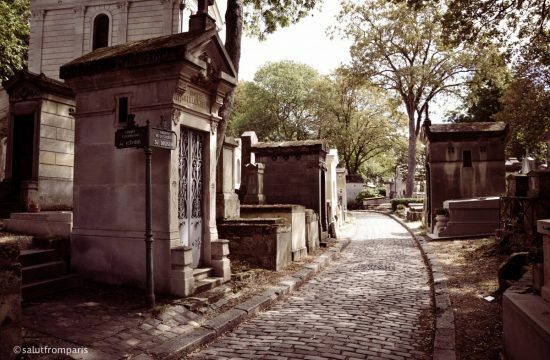 With it’s location just at the Cemetery Père Lachaise, the Mama Shelter is not exactly IN Belleville but very close by. 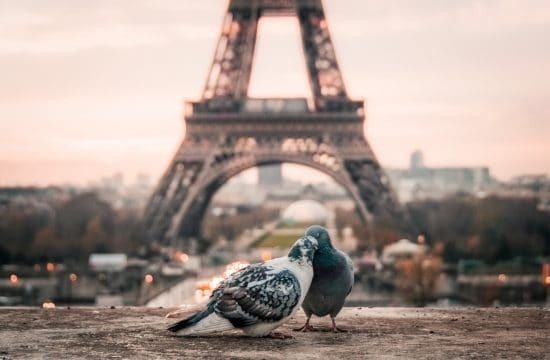 To be fair, it is a bit far out, but as you are still in Paris, the Metro is still close by. This being said, the Mama Shelter is definitely one of the coolest hotels in Paris. It’s a stylish designer place with a roof top bar and an iMac in each room. No need to say that you have free WiFi. The Mama Shelter has also an in-house Brasserie and Pizzeria. Get more info here.